One of the most common questions we are asked is how much our help will cost. We understand that money can be tight when you are no longer able to work. So at Premier, we put people before profits. There are entirely no upfront costs for our help. Our policy is that we only get paid if you win your case. This means that if your claim is not approved, we get nothing. Once we succeed at getting your benefits approved, we will receive a one-time fee that is paid to us directly by the Social Security Administration from a portion of any back pay that you may win. 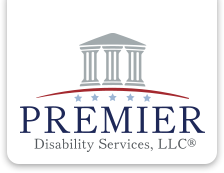 The majority of your back pay and ALL on-going monthly payments that you will receive from then on are entirely yours for you and your family; Premier will not take anything from your monthly benefits. Remember that we receive no fee if you are not awarded benefits. If you have any questions about our fees or would like to complete our free evaluation, please contact us here.